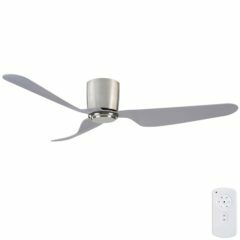 The 52″ City Ceiling fan range features a unique three blade design making it the ideal subtle feature of any room. 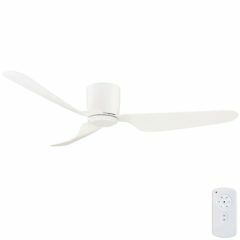 It features an energy efficient DC Motor reaching 35W on the highest speed with an airflow of 11,590 m3/hr. 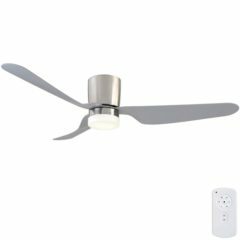 The City Ceiling Fan has a low profile design with a ceiling to blade drop of a mere 189mm and comes with a 6 speed remote control. Mercator’s City range comes in two colours: White and Brushed Chrome. 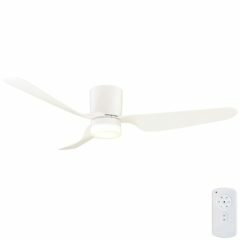 Models with a dimmable 12w LED light are available.